There are so many subscription boxes out there that it is really difficult to pick which ones to subscribe to. There are subscription boxes for everything. When someone is unsure we always advise paying for the cheapest ones until you find out the best for you. There are so many affordable subscription boxes out there and first-month promotional offers in all categories so you can try fashion subscriptions, beauty subscriptions, monthly snack boxes, boxes for your kids or pets and even coffee subscription boxes. You can't sign up for all of them so we made a list with the top-rated options to help you make your choice easier. Stitch Fix is your partner in personal style. They ship you clothing and accessories for sale each month. You can choose which ones to keep, pay for them and send the rest back. This is one of the most unique services you will find on this list. First, you take a personal style quiz. Tell them about your size, style and price preferences. 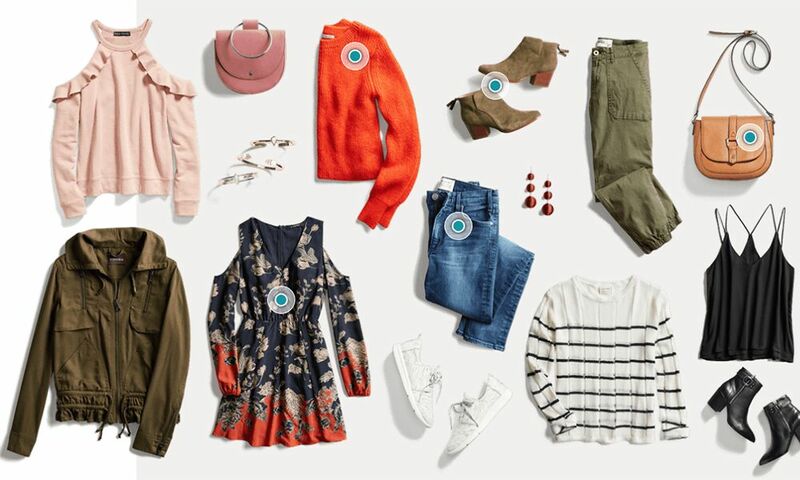 Then a Stitch Fix stylist will pick 5 pieces that are relevant to your unique style. After this, you can take up to 3 days to decide which ones to keep and check out online. Amazing! Stitch Fix is starting at $20 per month. Gwynnie Bee is a plus-size subscription box for women. It is made for sizes from 10 to 32. On Gwynnie Bee, you are creating a virtual closet of your favorite items and they will send you a rotating selection of clothing items with free shipping and free returns. They offer a wide variety of styles from stylish workwear to casual everyday outfits. They also have many varieties of plans so you can rent from 1 to 10 items at a time, and if you like any of the items that you tried you can buy them with a huge discount. Get Gwynnie Bee 30-day free trial and you can cancel at any time. The LootWear t-shirt subscription box is one of the coolest on our list. They are not only for women but they have amazing women's t-shirts. The subscribers get one geeky exclusively designed t-shirt per month for only $19.99 including the shipping. 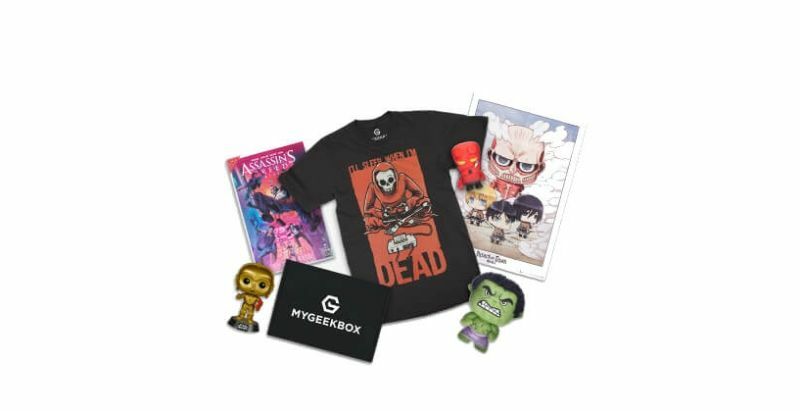 If any of you ladies love Powerpuff Girls, Buffy the Vampire Slayer, Star Trek, Bob's Burgers or anything else geeky you will absolutely love the LootWear subscription box. Get this box for $19.99 per month. Trunk Club is a Nordstrom company that combines top brands and expert service to help people find their own personal style. 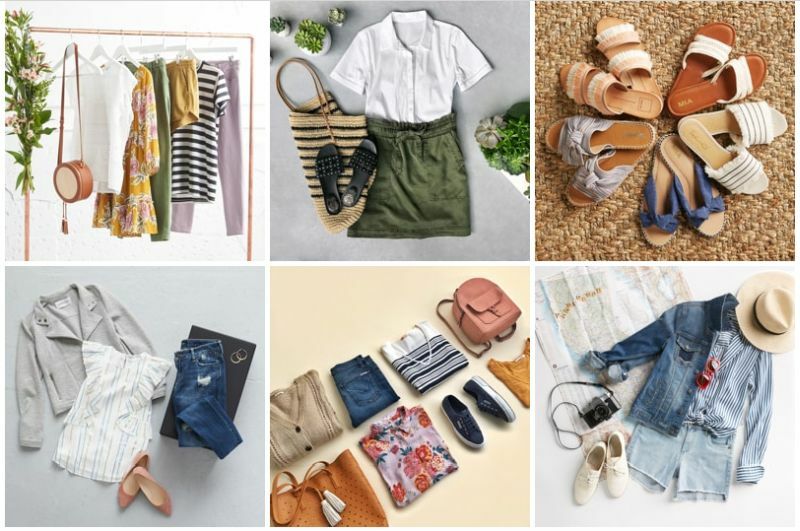 Just like Stitch Fix, they are another great personal stylist. Trunk Club and their professional stylists send both men and women from six to ten personalized clothing items based on your style, needs, and your budget. Each "trunk" has a $25 styling fee but it's credited toward your purchase. Shipping and returns are always free. Subscribe to Trunk Club here. 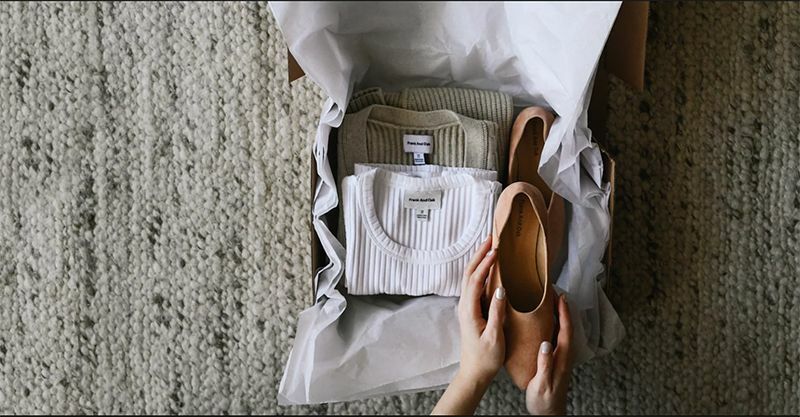 Frank And Oak is a subscription box for those of you who want to look chic but really don't have time for it. Another great online personal stylist. A stylist picks for you clothing items based on your personal style each month. You pay for what you like and send the rest back (for free of course). First: You tell them about your style. You answer a few questions about your size, your personal style, and your budget. They will fine-tune their recommendations for you. Second: Review your monthly box. You can customize, skip or confirm your order. Third: You can take up to 7 days to decide which item to keep and send back the rest for free. Get Frank And Oak monthly box starting at $25 a month. Ivory Clasp is a handbag subscription service. They deliver a handbag to your door each month for less than $50. The bags are once again personalized for your style. You take a quiz when you sign up and a personal stylist will choose a bag for you. These are not knockoff handbags. Ivory Clasp works with well-known brands and new upcoming ones offering you the latest fashion trends. They are real handbag experts and they do not stand knockoffs. You can get Ivory Clasp monthly subscription box for $45. We always need an extra pair of socks. Sockwork's sock subscription service is letting you pick your personal style and they will send you funny socks, professional socks and sometimes a mix of funny and professional socks each month. Sockwork is a great gift idea. With their gift option, you can surprise your friends or family. They offer socks for women and men. Another great thing about this particular service is that they sponsor a different veteran-charity each month. How cool is that? Get Sockwork for $14 per month. The best beauty subscription box out there! A great box full of surprises and a LOT of new items to try. Their skincare products and lipsticks are the best! Each month you get free trial size samples plus a beauty bonus in adorable collectible bags. Inside each box, you also receive a pass that you can redeem in a store and receive 50 bonus Beauty insider points. The Play Date events are subscriber-only events that you will receive. They allow you to go to a store and play with products identical to the ones you received in your monthly box. Being a subscriber unlocks exclusive how-to videos, fun tutorials and tips just for you on how to use the products you got in your box in a fun and unique way. Get the Sephora Play! box for only $10 per month! Birchbox is another great beauty subscription box for women and one of the first original boxes. They send you a mix of prestige and niche brands monthly. Everything from makeup, hair products, and skincare to fragrance samples. A lot of quality test-drive products to try before you purchase. If you like any of the samples they send you, you can purchase the full product from them with free shipping. Birchbox is $10 per month and you can subscribe here. Allure Beauty Box is another good beauty monthly subscription box. Their monthly box offers top-trending, editor-tested makeup and beauty products worth from $50 to $90 for only $15 each month. Each month they send you full and travel-size products selected by Allure experts. Their experts test more than 50,000 products each year. 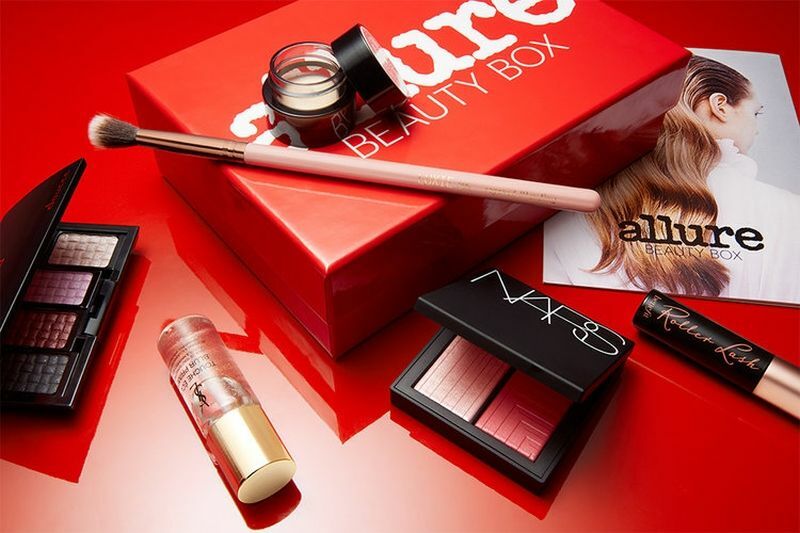 Get the Allure Beauty Box here and get a mystery bonus gift valued at $15+. Scentbird sends you travel-size samples of authentic perfumes every month. When you sign up, you take a quiz so they know your preferences and to help them suggest you fragrances. Then you can go and browse their products, rate them and they will refine your suggestions based on that. Another great feature of theirs is that you can build a queue of perfumes that you'd like to try. If you don't do that you will let them surprise you every month. Scentbird is regularly $14.95 per month but you can subscribe through this link and get them for $11.21 for the first month. Target releases a new beauty box each month and their boxes usually sell out within a few hours. They are that good! The value of this box is really great! They always come with Target coupon codes, and they have a wide variety of full-size products and samples. Sometimes Target does brand takeover boxes but in general, they always have their beauty boxes monthly. Check the Target monthly boxes here regularly starting at $7. Beauteque is for all the K-Beauty enthusiasts. You can choose between two boxes: one is filled with a lot of makeup and skincare products and the other with nine sheet masks. All of these products are full-sized, trendy, innovative and hand-picked from Taiwan and Korea. A wide variety of never-seen-before items. Beautique starts at $22 per month. For more information see here. Curology is the super bottle with a skin care cream made specially for you. Helps you battle with big zits, clogged pores, and occasional breakouts. 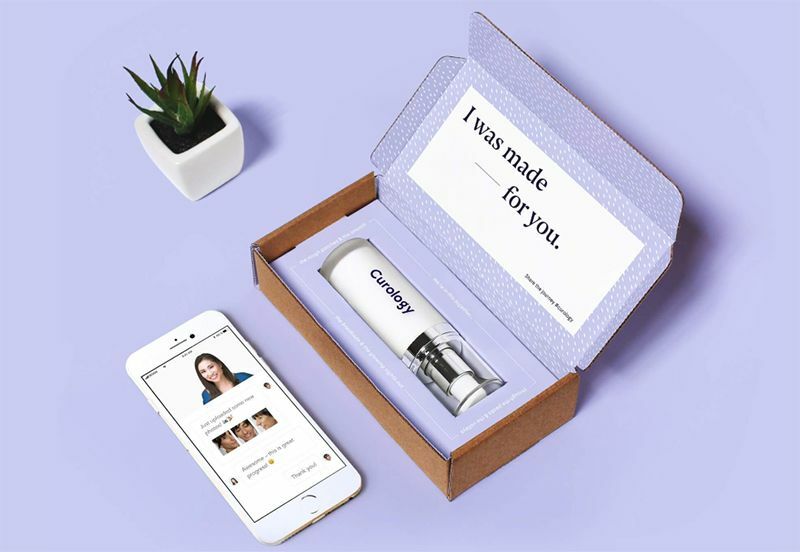 Not all creams work for all people so we think Curology's idea to personalize their products for each customer is amazing. From the beginning, they have a custom algorithm to know your skin and match you with a Curology provider that sticks with you till the end. Graze is one of the best mini-snack subscription boxes out there. They send you a customized selection of products weekly, bi-weekly, or monthly. They have over 100 different snacks that you can rate online and based on your taste they will save your particular food preferences. You can send them recommendations as they are always about food ideas from their subscribers. 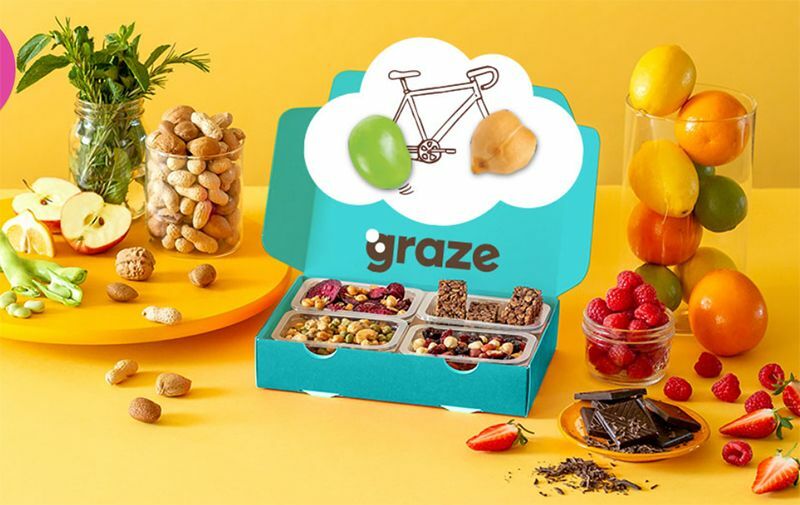 Graze is regularly $13.99 for 8 snacks per box but you can register from here and get your first box for $6.99. Naturebox is back and they are offering their monthly subscription plan for new members. Their snacks are healthy, wholesome, minimally processed and without artificial colors. 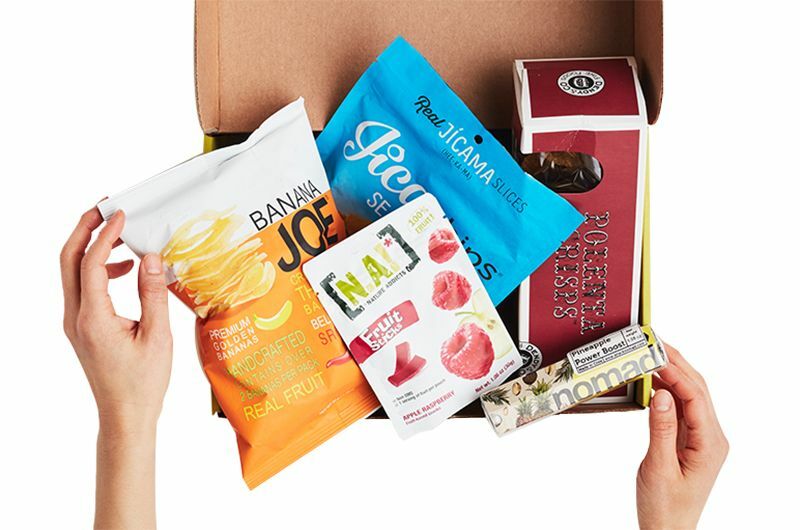 The box combines some of their most popular snacks: Big Island Pineapple, Sriracha Roasted Cashews, Jalapeno White Cheddar Popcorn, and many other super healthy and tasty selections. Become a member and get their box for $29.99. You probably already heard about Blue Apron. It's the most famous food box out there. The reason we didn't list it first is that it is quite expensive. But if you can afford it, go for it! It's the best! Perfect for beginner cooks who want to learn new recipes through their amazing demo videos. Choose your meals, they will send you a box with ingredients and try the best recipes that their cooks prepared for you and your family. 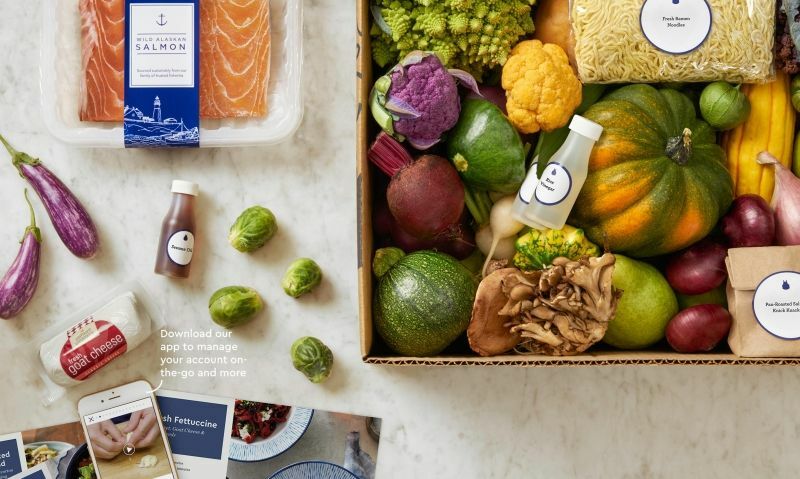 Get Blue Apron starting $60 per month. 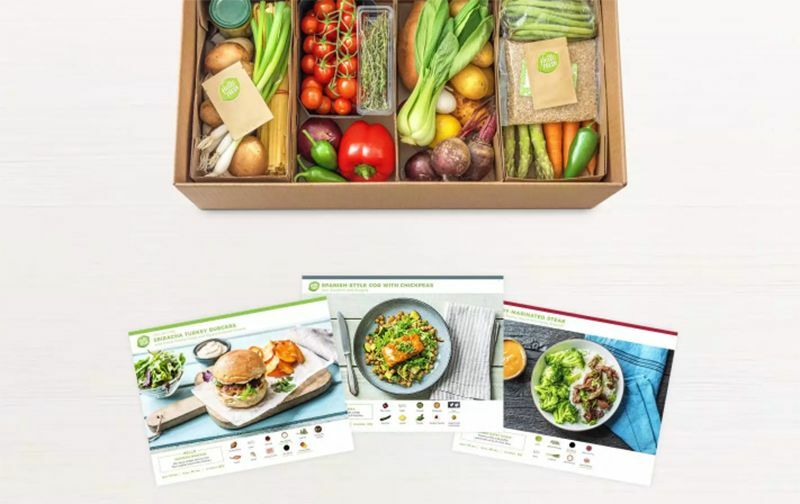 There are so many quality food subscription boxes but Hello Fresh is the best one for vegetarians because they offer nutrient-packed meals to all people who avoid meat. 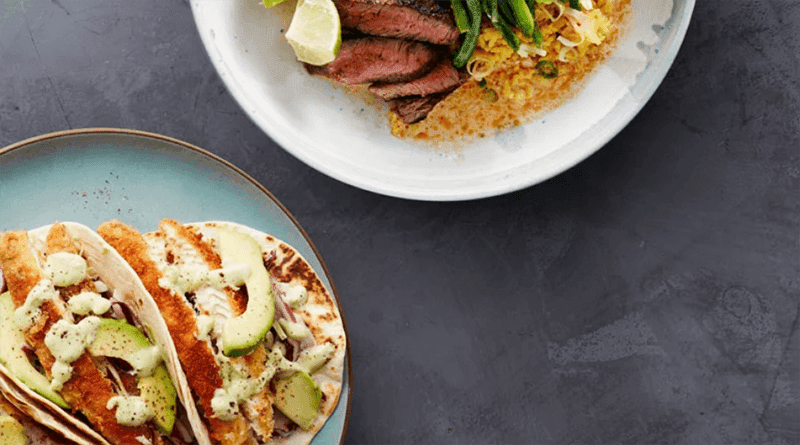 With Hello Fresh you can cook tasty meals with simple fast recipes every week as they sent you pre-measured ingredients. Every week their box contains: easy to follow and fast to make recipes, high-quality healthy ingredients straight out from the farms, and compact meal kits that you can easily fit in the fridge. One of the best thing about them is that you can easily skip a week if you don't feel like cooking. Hello Fresh starts from 8$ per serving. UrthBox focuses on healthy delicious new snacks. If you love eating super-healthy, this is the best one for you. A lot of people think that eating healthy means eating the same boring foods every time. UrthBox makes it much more fun! They discover for you delicious healthy treats each month and send them to you. They have gluten-free, vegan and diet box options. All of their stuff is NON-GMO, organic and natural. Get UrthBox starting from $20 per month. Plated is the best option for people who have food allergies, or other dairy restrictions. Fully customizable box. They also include dessert! How cool is that? Plated covers any lifestyle. Each week you can choose from 20 carefully crafted recipes that fit your personal lifestyle. You have options like vegetarian, gluten-free, under 600 calories, low carb and other. Subscribe to Plated and get $25 from your first month right now. Regularly $48 per month. Yummy Bazaar sends you authentic and delicious food from around the world. They bring authentic taste from around the world. For example, their French food is made in France, Japanese in Japan and so on. They have tens of thousands of different products from different countries. Plus they have one of the cheapest sample boxes on this list. You can get their sample box for under $10 or you can subscribe to their monthly full gourmet experience for $36. Love with Food is another great healthy snack subscription box. Each month they send you healthy and organic snacks and sweets samples, and for every box, they send they also donate a meal to a food bank. Their products don't contain trans fats, hydrogenated oils, high fructose corn syrup, artificial flavoring or coloring. On top of all this, their Tasting box is under $10. Get it here. 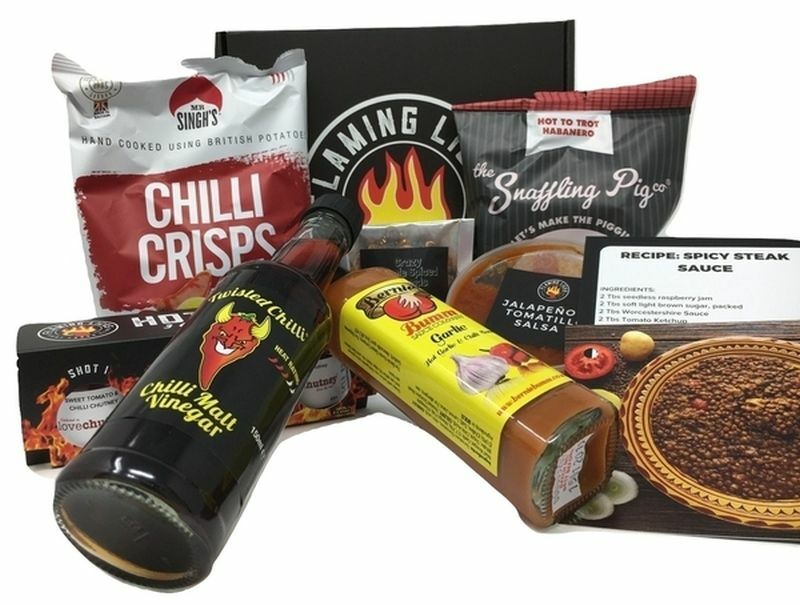 Flaming Licks is a very unique subscription box for all the hot sauce and spicy food lovers! The subscribers receive each month a small batch of hot sauces, spicy snacks, and all sorts of chile-based snacks. They are a UK based company but they also ship to the USA (with small shipping fee). Get Flaming Licks for $10 per month. MunchPak is one of my favorite boxes. When you subscribe to MunchPak, you will start receiving all kinds of delicious, best snacks from around the world delivered to your door. In each box, you will be receiving from 5 to 20 full-sized snacks, depending on the plan that you subscribed to. MunchPak starts from $10 per month. Bagel of The Month Club is another great food subscription. You are getting fresh New York bagels to your door each month. What more do you need? All kinds of very yummy different bagels for you to try. Join the Bagel of The Month Club starting from $25. Hot Sauce of The Month Club is a subscription box just like Flaming Licks but based in the US. They are your source for artisan hot sauce. From them, you get the best artisan hot sauce, picked by the experts at Heat Hot Sauce Shop and they deliver it to your door. Many of the sauces are made in the Bay Area. Get Hot Sauce of The Month Club starting at $13 per month. Lush Bites is your monthly gluten-free cookie box! What more do you need? Lush Bites was started by a food blogger who was diagnosed with Celiac disease. She developed some amazing gluten-free recipes and decided to share it with the world. The world thanks you, Megan! Enough to the boring old chocolate chip gluten-free cookies. Now we have Lush Bites! 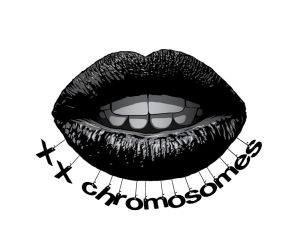 Subscribe to Lush Bites starting from $25 per month. Try The World is such an amazing idea. They send you a different box every month from a different country from Greece to France. Pistachio cream from Italy, olive spread from Argentina, couscous from Mexico and many other each month. One of the most unique food boxes on the list. Get Try The World for $29 per month. Coffee Crate is the best coffee subscription box. Coffee Crate delivers locally roasted in North Carolina, very high-quality coffee to your house. Their coffee doesn't sit on shelves for months, they select the freshest roast and deliver it to you. Get this coffee box starting at $20 per month. Blue Bottle Coffee is another great box to help you replace your Starbucks habit. Blue Bottle Coffee sends you a customized box filled with coffee, blends, espresso or decaf coffee. You are taking a quiz to help them match you with the best coffee products according to your taste. Blue Bottle Coffee starts at $8 per month. If FabFitFun was a solely a beauty box it would be on the top of that category but they are much more. 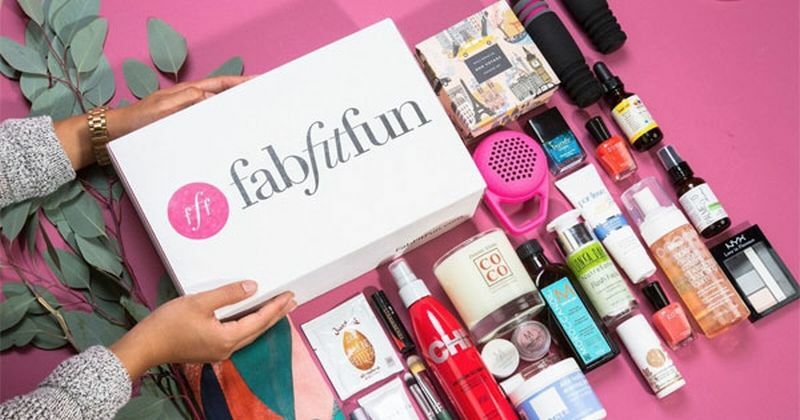 FabFitFun gives you full-sized beauty, health, wellness and fashion products 4 times per year. If you love being surprised and try new stuff, they are the perfect box for you. Get FabFitFun with 10% discount. Regularly for $50 per quarter. Cloth & Paper is for the stationary-obsessed. In addition, they offer a special pens-and-pencil focused subscription. 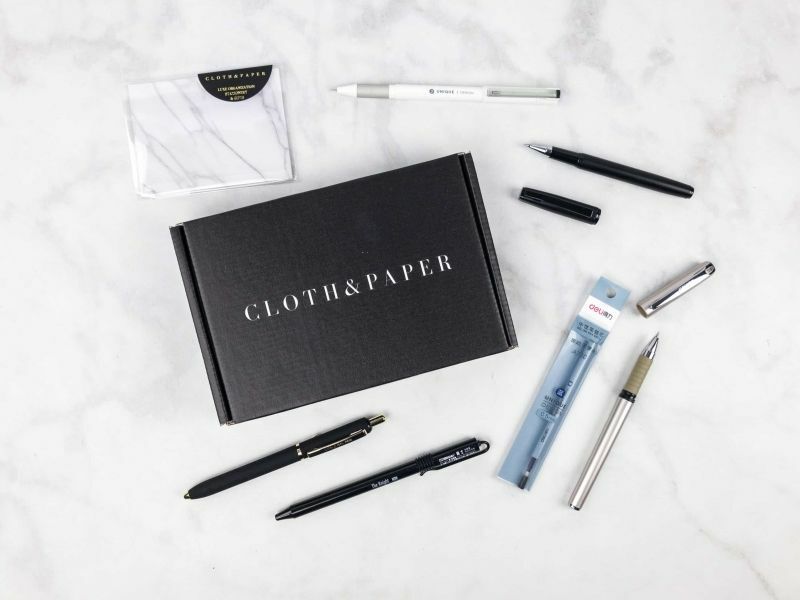 With Cloth & Paper, you are getting from 5 to 8 items, including a lot of desk items like paper pads, note cards, and journals, as well as other occasional lifestyle goodies. Cloth & Paper is $18 per month. Sparkle Hustle Grow is the perfect box for entrepreneurs. By signing up, you are getting an access to online courses, tutorials, their entrepreneur community and clever desk accessories. It's an amazing monthly subscription box for female entrepreneurs. Sparkle Hustle Grow starts at $25 per month. Quirky Crate is the best mail you will ever receive! This box will be filled with colorful, super-cute, unicorny items. You will get novelty handbags, pins and all kinds of unique colorful stuff each month. You will receive all of this in a bright, colorful packaging. Get Quirky Crate starting at $35 per month. My Geek Box is one of the best ones on our list! For all our geeky ladies, My Geek Box get you monthly shipments of plush dolls, limited t-shirts, and unique toys. If you are a fan of Rick and Morty, Star Wars, Spyro, X-man... you will absolutely love this monthly box. The items are hand-picked by geeks, for geeks. From 4 to 7 geeky collectibles with $40+ RRP. Get My Geek Box starting at $20 per month. Mighty Nest is an eco-friendly subscription that will discover a single green product for your house each month chosen by experts. Perfect for women that are committed to living eco-friendly. Make healthy home improvements each month, with an average 30% savings from retail prices. They make it easier for families to create a healthy green home. Mighty Nest starts at $10 per month but you can get $5 off your first month by subscribing to their e-mail list. Bouqs is your monthly flowers box! 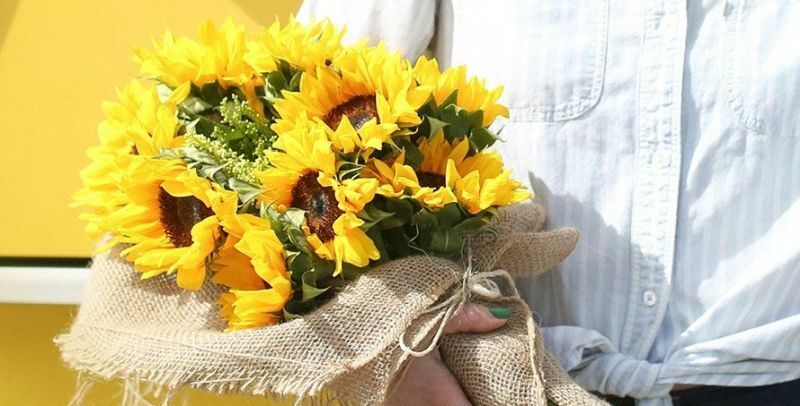 They deliver farm-fresh flowers directly to your door. All of their flowers come from their farm. If you want to make a gift or if you just love new flowers just go subscribe to them. If you want fewer flowers or you are away and you can't pick them, you can skip a delivery at any time. Get Bouqs now and save 20%. Regularly starts at $32 per month. Globe In is rated by many online magazines as The Best Subscription Box for Women. Subscribe to beautiful and unique products from artisans and farmers around the world. For sure, one of the most unique boxes on the list. Each product that you will receive from them will be unique. How cool is that? You can get Globe In starting at $40 per month. Escape The Crate is such an amazing mystery box. If you love riddles, solving mysteries, discover hidden items - all in the comfort of your home, you need to get this box. Escape The Crate is one of the fastest growing subscription boxes in the USA, an absolute sensation! By subscribing you get a different adventure every other month. If you want to escape from a pirate ship, encrypting alien languages, solving murders - you will love this one. All adventure seekers jump on board! Subscribe now using the code "LOCKPICK" and get 10% off. Regularly $30. 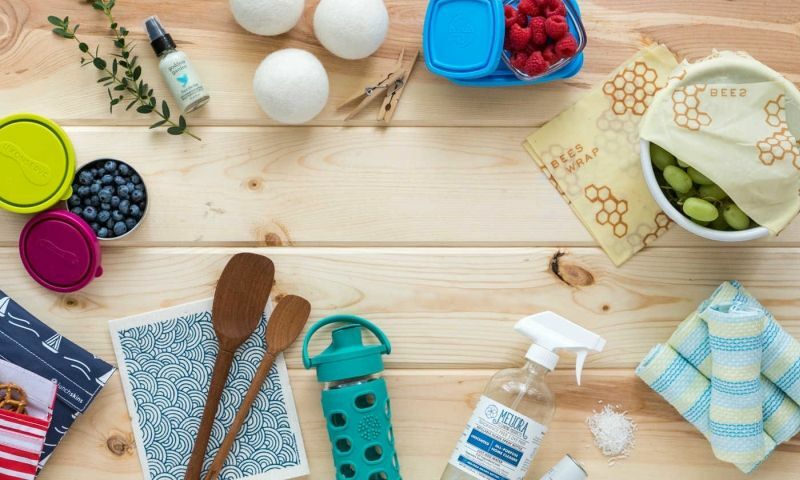 Hygge Box is another great home subscription box for women. This great box contains everything to make you feel hygge, from candles and yummy cookies to great books and bath salts. Hygge is about preserving happiness every day. Each box features handpicked unique items. Embrace life's simples pleasures and welcome the Danish lifestyle of cozy into your home. Hygge Box starts at $25 per month. 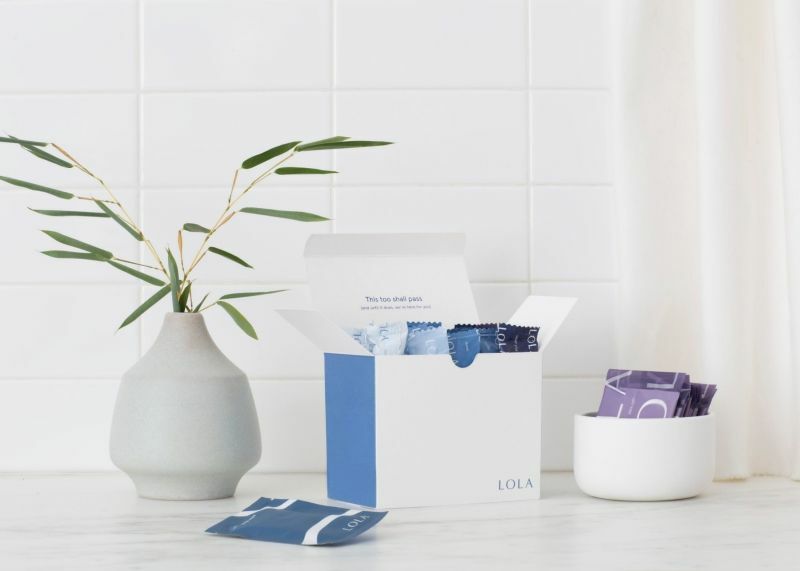 Lola is a 100% organic tampons health subscription box that has been gaining so much attention recently. We all care about the ingredients in everything from food to face creams, why should your feminine care be any different? Get a great organic box shipped to your door every month before THAT time of the month. All of their products are gynecologist-approved and safe to use. Get Lola with 15% OFF your first box with code "FIRST15". Regularly starting at $8 per box. For all the fitness ladies - SweatStyle is a box with handpicked fitness apparel for you. First, you fill out a profile where you tell them about your workouts, what style and size preferences you have and then you choose your shipping date. After that, they handpick your items from a mix of tops, bottoms and sports bras. You can take up to 5 days to pick what items to keep and you can return the rest. Get SweatStyle for $25 per month. Bulu Box delivers all kinds of awesome stuff and doing the research for you. They send you awesome deals, lifestyle products, beauty products, healthy snacks, and fitness supplements each month. Bulu Box is designed to make you healthier and feel your best. In each box, you will find a mix of 5-6 premium samples from top brands to try. Get Bulu Box starting at $10 monthly. Mindfulness Box is one of the most unique monthly subscription boxes out there. They are focusing on giving you the tools helping you to achieve inner peace, mindfulness, and balance. 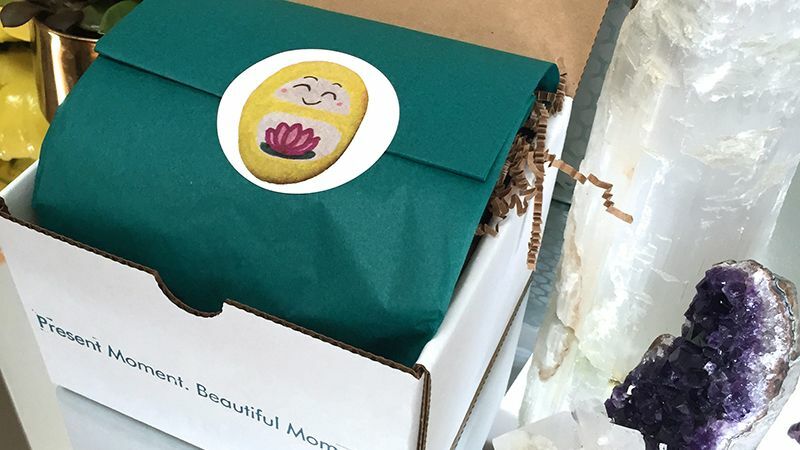 A monthly Zen box sending you healthy cookies, calming teas, shiny crystals, handcrafted jewelry, oil-based health products, and mind-clearing supplements. They benefit everyone in all walks of life and with all kinds of religious beliefs. Get this box starting at $29 per month. 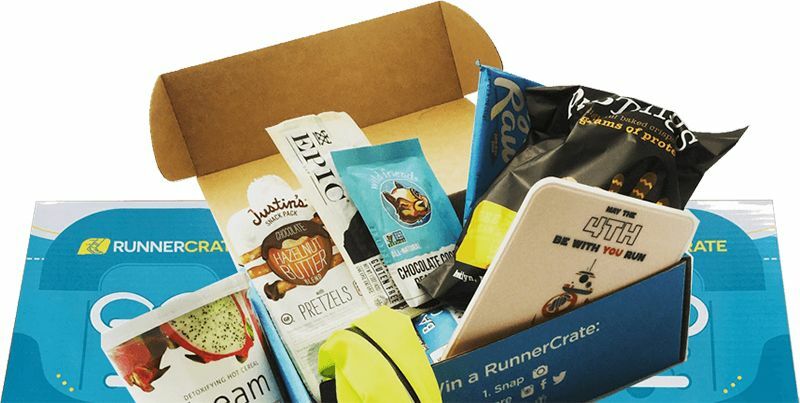 Runner Crate is the best box to subscribe to if you are a runner. They feature not only yummy fitness snacks but also running gear and running challenges that will help you become better. Get Runner Crate starting at $42 per month. From newborn to pre-teens, you will receive a selection of any books you need for your kids. My First Reading Club is helping you to expand your child's world by encouraging them to develop a love for reading. One of the most useful subscriptions on the list. Sometimes it's very difficult to find the right books for your kids but MFRC is handling this for you. Each book contains 3-4 age-appropriate books handpicked from thousands of titles specifically for you. They also include an activity book in each box. Subscribe now starting at $27 per month. 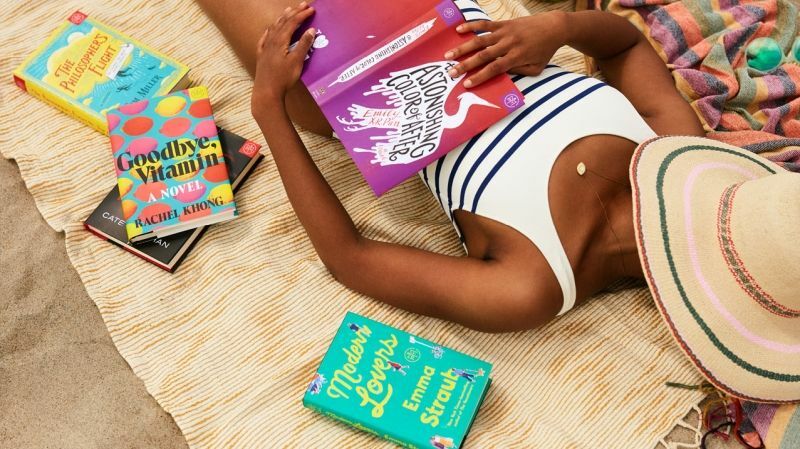 Books of The Month Club is a must-have subscription for every woman who loves to read. We occasionally post book lists on our site and many of these books you can get through the Books of The Month Club. You can choose from the five best new reads every month and get them delivered to your door. Go subscribe to them for $15 monthly. 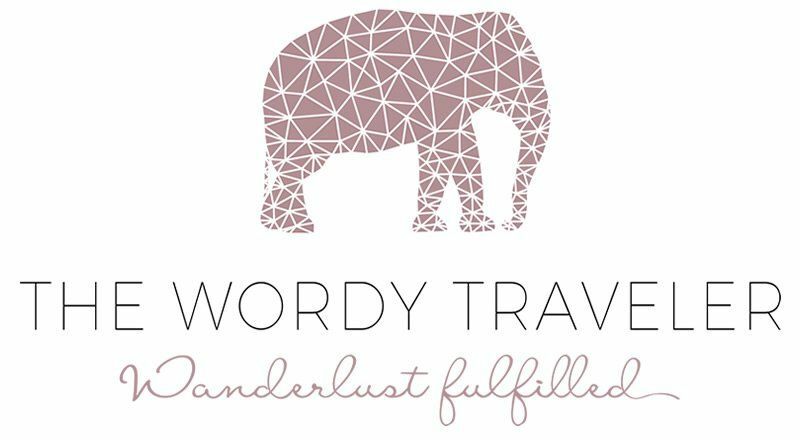 The Wordy Traveler is my favorite books subscription on the list. It's a quarterly delivery focused on one destination and features goods from that region. Each box provides a girl in need with a year's worth of textbooks. When you open one of their boxes you will be transported on a new journey across the world. Get this amazing box starting at $50 per quarter. The best subscription box for your dog! Show your pup some love with monthly awesome toys and treats. Your first box ships immediately and the following boxes ship on the 15th each month. Every Bark Box contains at least 2 innovative toys, 2 all natural bags of treats, and a chew, curated from each month's unique collection. Get Bark Box at $21 monthly. 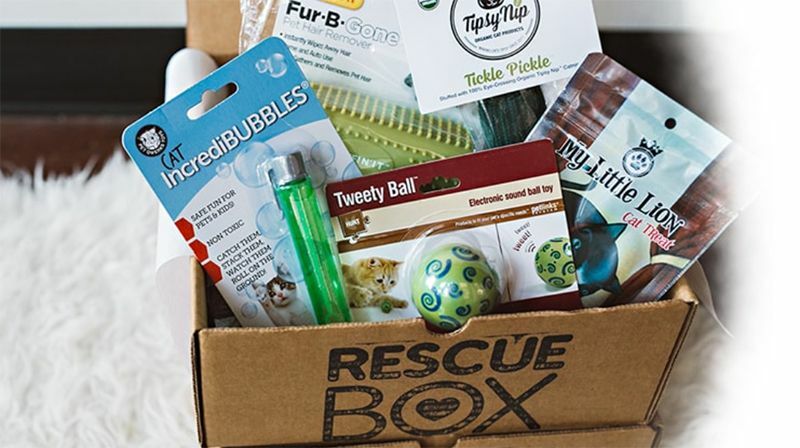 Rescue Box sends you toys and treats for your dog or cat monthly. Rescue Box not only sends you premium products every month that your pet will love but most importantly they donate part of the money to rescue shelters. Help feed and vaccinate cute little animals that need your help. Get Rescue Box for $35 per month. SEE ALSO some amazing women dresses deals.